I’d read one of Ms. Barnes books before and I liked it….a lot! It wasn’t a murder mystery like this one, but it had to deal with spies and government operatives. I’m a sucker for those stories. 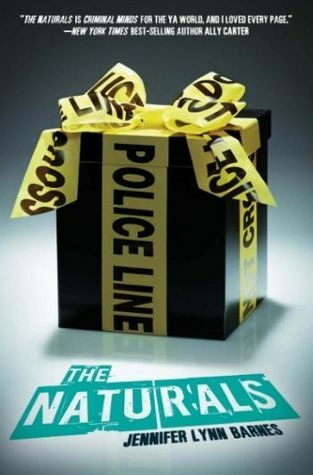 Now, let’s talk about The Naturals. I really like this book. The main character, Cassie, is very observant, or what the FBI would call a profiler only she doesn’t know it until she gets the attention of the FBI one day. She knew she was different because she never fit in wherever she was. 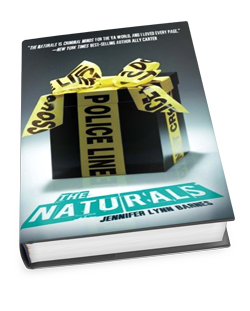 Cassie gets recruited into the The Naturals program, where other teenagers also have a natural ability whether it is to tell if someone is lying, what their emotions are, or how to profile people. When Cassie gets to the program, she meets what I call the “Fantastic Four”, soon to become the “Fantastic Five”. Each teenager has one specific talent: Lia can lie like nobody’s business and also detect lies, Michael can read emotions off a person and has a very good poker face, Sloane sees the world through a mathematical point of view and can hack any government program or database, and Dean is a profiler, just like her. The “romance” in the story takes the back burner throughout the whole book, and sometimes its hard to pick up the subtle hints here and there. Some of you may be Team Dean or Team Michael, but what I loved the most was the case and how all five of them even though they are messed up, can do good in the world one case at a time. It’s like a teenage Bones/CSI crossover. I love it! Ms. Barnes has a PhD in Psychology and Cognitive Science, and her knowledge is sprinkled throughout the book. I absolutely love it when authors add their area of expertise to their novels. It takes the books up another notch!